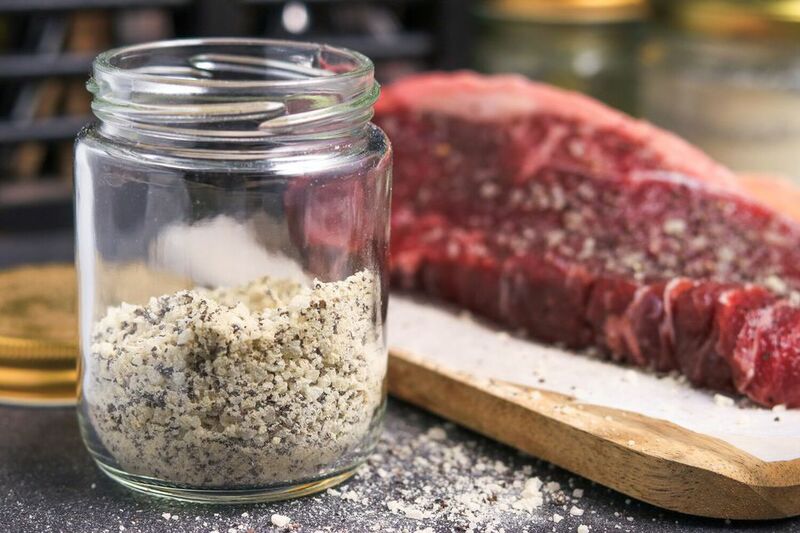 If you're looking for a quick and easy steak seasoning, then look no further. You can also double or even triple the recipe and store the seasoning in an airtight container for future cookouts. Combine ingredients and place in an airtight container until ready to use. The recipe is enough for 4 to 6 steaks, depending on size. The mixture will stay fresh for up to 1 year if stored properly in a cool, dry place. To use, simply remove portion needed with a spoon and apply liberally to steaks. Grill, bake, broil, of skillet cook as directed. Making a double or triple batch of this steak seasoning means that you'll always have enough on hand for future cookouts. Use an airtight glass jar to mix and store the seasoning. This leaves you with less cleanup and an easy storage solution.